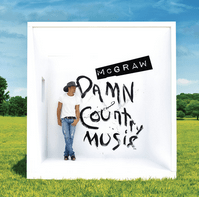 Three tracks available from new Tim McGraw album! Three tracks are now available for download/streaming from the brand new Tim McGraw album, ‘Damn Country Music’! The title track, as well as ‘Here Tonight’ (featuring Tim’s daughter, Gracie) and ‘California’ have all been released on iTunes and Spotify – go and check them out! The full album is set to be released on 6 November. Kip Moore planning UK dates! Cam to release first album 11th December!